I wasn’t sure what to expect during the Radio City Stage Door Tour, but needless to say I was excited. I arrived at 50th and 6th Avenue, quickly went through security and the tour began right on time. I was satisfied with the organization of the check-in and security process because everyone was extremely nice and enthusiastic to get our group into the tour on time so there was virtually no waiting around. This tour was a guided tour from start to finish with a small group of people. The tour guide first directed us into the Main Lobby of Radio City Music Hall. Here we learned all about the interior design of the lobby, how it came about and how it got its shape, color and design. From there, we walked down the stairs into the Grand Lounge. As you can see in the pictures below, the Grand Lounge has a darker feel to it with dim lighting. I thought that it was interesting to learn that in the 1930’s and 40’s, people use to come off of the subway, directly into this lounge. The darker colors and dim lighting were used to quiet down the guests, as opposed to the red and orange colors of the inviting Main Lobby. We took an elevator to the Upper Level Seating and sat in the back rows of the theater to take it all in as a whole. From this seat, I was able to cherish the vast, unique beauty of the theater. One feature that caught my attention that the tour guide discussed here was the acoustics designed in the theater. He explained that there was not one bad seat in the house. In addition to no columns, the walls and ceiling are designed to clearly send sound from the stage all the way to the back row. From where we were sitting, we could clearly hear the workers on stage moving around. After this, we were finally taken back stage to see things from behind the scenes. We were taken into the Roxy Suite, a VIP room where the performers and musicians hang out in before they perform. It felt cool and exciting to be in the same room that countless famous people have been. 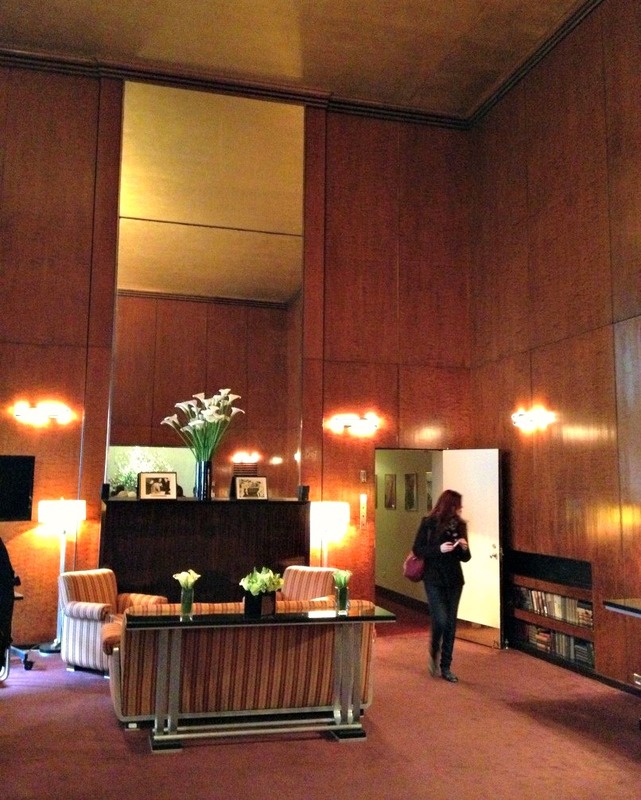 Also, with its colors and furniture, this room was one of my favorite features of the tour. Down the hall from this suite was a screening room where I was given a chance to sit in original seating from the theater from 1932, and watched a short film on the history of Radio City Music Hall. 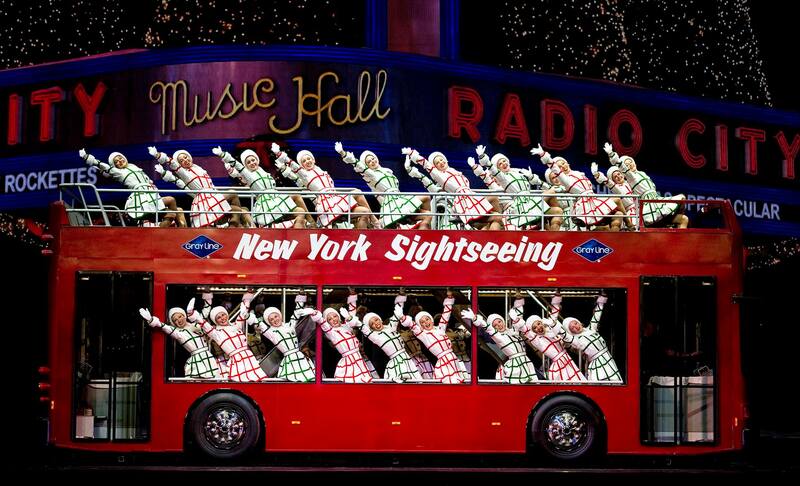 A majority of the film focused on the formation of the world famous Rockettes. Right after, we were surprised with the opportunity to meet and talk to an actual Rockette. 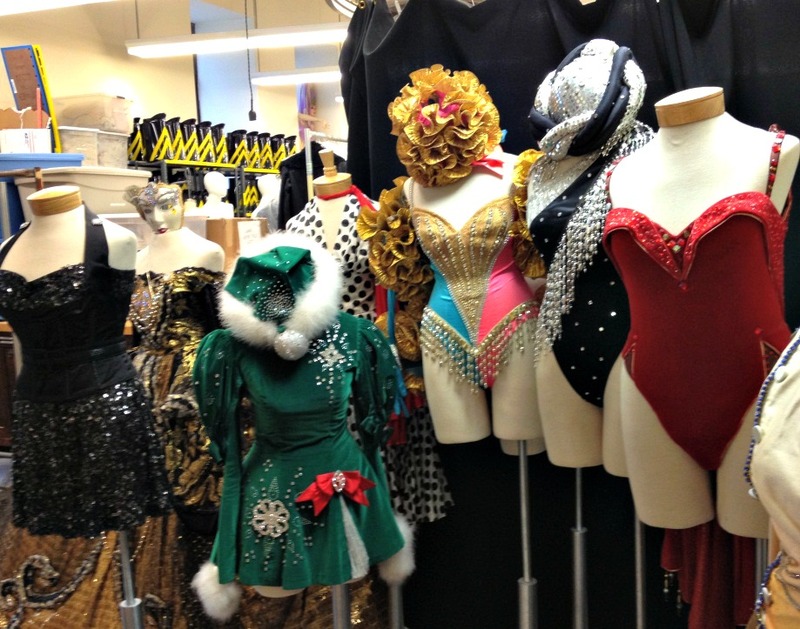 We continued our journey through hallways and stairs and came across the costume room that displayed clothes from Rockettes and other performers. It was cool to see where the costumes and clothes are made and designed, each in their own individual way. There was also a hallway near here that displayed a long timeline with information and pictures of the Rockettes and Radio City that went from 1927 leading up to today. The evolution was amazing to see laid out like that. But more importantly what I thought was fascinating was seeing how some of its history has not changed at all. 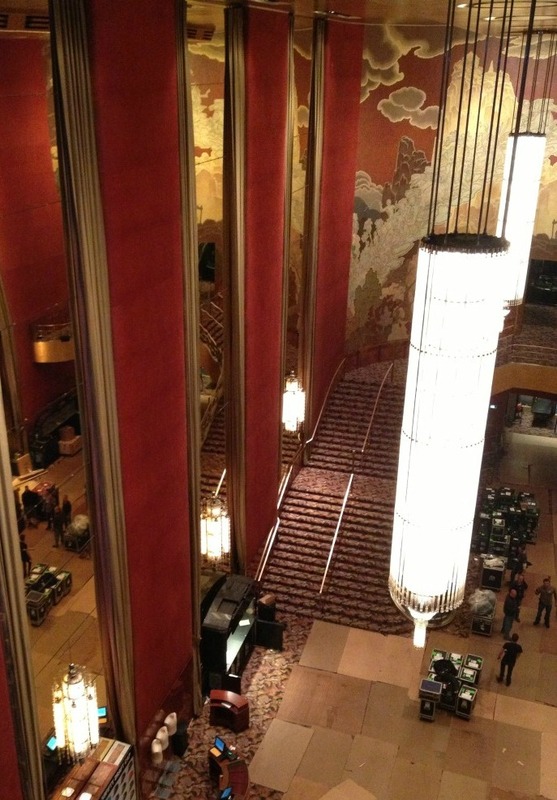 There is so much history and uniqueness in Radio City, which I never would have known before my visit. My fascination and wonder behind this theater only increased as the tour continued. I can definitely say I left there with more information than I thought possible. I have been to shows at Radio City in the past, but the Stage Door Tour offers a completely different experience. Photos are welcome, so be sure to bring your cameras! It’s that time of year again, when the best college football players from around the nation diverge upon New York City to find out where they will begin their professional careers next fall. Who will Kansas City take with this year’s first overall pick? 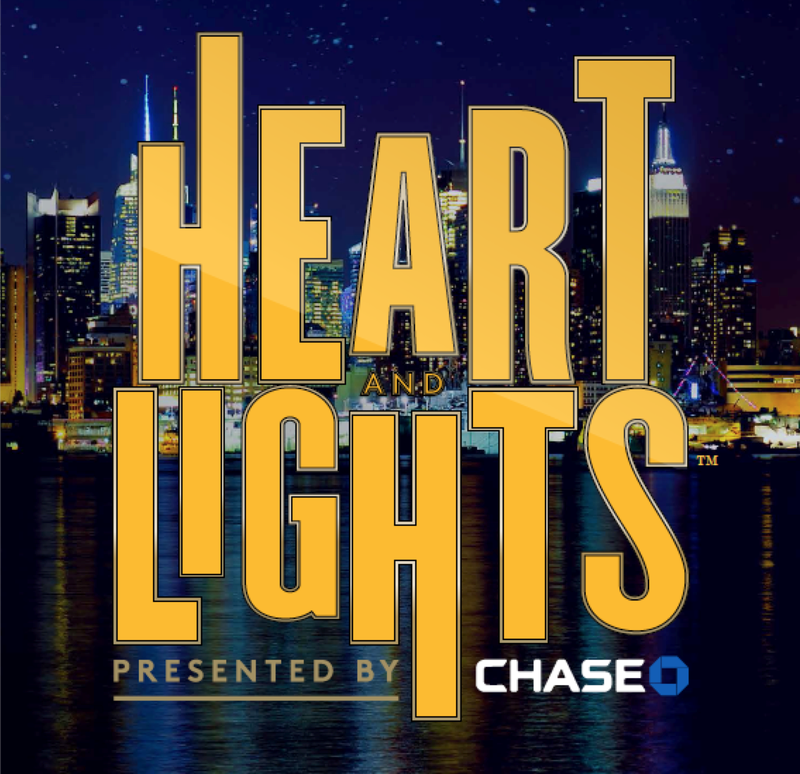 Find out this Thursday at Radio City Music Hall. Wristbands will be distributed on Wednesday night at 9 p.m. for entrance to the first round which takes place on Thursday night. On Draft Day, doors will open at 6:40 p.m. when tickets will be distributed to those fans with a wristband. 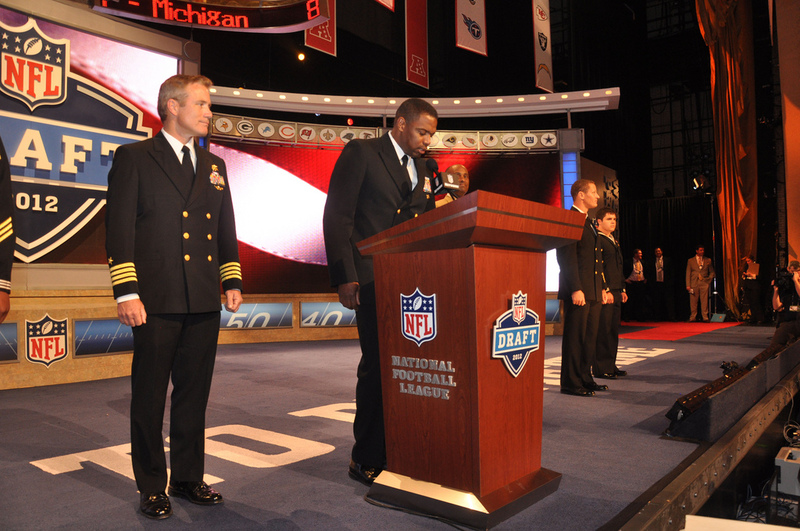 Enter Radio City Music Hall and watch as Commissioner Roger Goodell announces the unofficial beginning to the 2013 NFL season. Don’t forget to join us on Twitter for this week’s #GLNYchat, where we will discuss all things NFL & NYC. Ride of Fame: Wheel of Fortune! 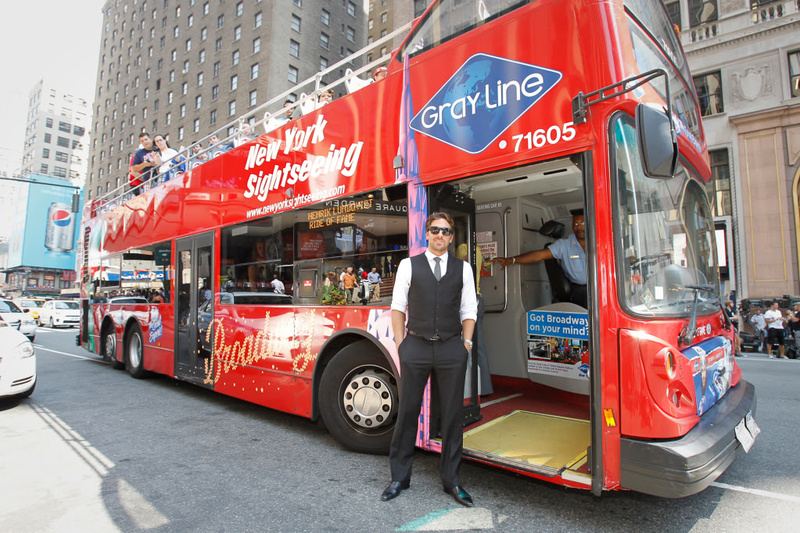 Gray Line New York is proud to announce that on Wednesday, May 23rd, Wheel of Fortune will be inducted onto the Ride of Fame! 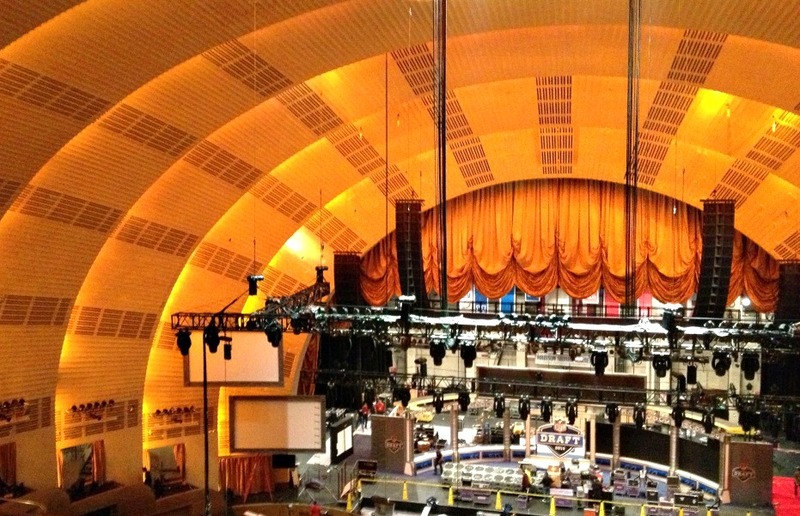 The hit game show annually makes a trips to film at NYC’s Radio City Music Hall, including the 4,000th episode and the 25th anniversary show. The induction ceremony will be held in Central Park next Wednesday. Check back to the blog where we’ll be updating you with the latest news about the event.